DASA Training Partners are professional training organizations or consulting organizations who deliver training as part of their transformation projects. Training Partners engage with learners and organize training courses for corporates and end-learners. Training Partners are formally registered with DASA as such and commit to delivering quality training programs. Only work with qualified trainers – those are trainers who passed the exam with a 10% higher mark than the normal passing mark, are professional trainers, have experience in the DevOps domain, and have participated in a Train the Trainer program. Only work with Accredited Courseware – which is courseware provided to them by DASA Courseware Partners. Offer exams only to their own candidates, and exam vouchers are also provided to them by their DASA Courseware Partner. DASA Training Partners may use the DASA Training Partner Logo. There is an annual fee of $50 USD for Training Partners. What does the accreditation process look like? DASA requires Training Partners to complete a registration form and pay the invoice. Once those elements are completed, Training Partners can start offering DASA programs. By signing the form, the Training Partner commits to meeting the requirements outlined for Training Partners. What does the Trainer Accreditation process look like? There is no accreditation process for trainers. As an open, transparent, and community driven approach DASA believes that the market will reward good and quality trainers. Therefore there is no separate accreditation. Training Partners ensure that they will only use qualified trainers. Do I need to register separately with APMG, ISQI? What if DASA receives feedback about poor performing trainers? In case DASA receives this type of feedback, DASA will engage with Training Partners and will jointly work on an improvement plan for trainers. 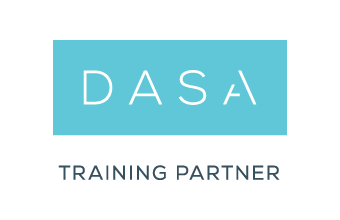 Can every training organization become a DASA Training Partner? Yes, there are absolutely no restrictions or limitations for anyone in the market. DASA provides an open model, available to everyone. Are you interested in a DASA DevOps training course for you or your team? Find a Training Partner from our list of official DASA Training Partners.